Which Stage Of Menopause Are You In? Are you confused about what your symptoms may mean? Here’s how to find out what stage of menopause you may be in. I do hear a lot from women as to where they are in their hormonal process as the distinction between peri, menopause and post menopause is not always that clear. Let’s see if we can’t make it easier to identify which stage you are in. Women are so very individual, and although we know the it is hard to predict how long menopause lasts as it varies so much, but on average it can be from one to five years and for some women even longer. If you are thinking well I am too young for that well think again because when it starts is just as unique. The average age is at 51, with the range from 48-55, but it can be even earlier through a family history of early menopause, medication or a surgical menopause from a hysterectomy. Your overall health will also be a factor so if you smoke, are overweight, or have chronic health issues such as diabetes or rheumatoid arthritis then all those things can mean an earlier menopause than the average. This for me is one of the most confusing as you may see symptoms that you associate with menopause, or perhaps PMS or something else altogether. This stage may not be obvious as you can still be getting completely normal regular periods but you notice things are not quite the same. You can start to feel your hormones changing but your cycle is regular and this perimenopause phase can be anything from 3-5 years in duration. Symptoms themselves may seem unrelated to your hormones as you just notice that you are maybe getting anxious or more stressed or your tummy and digestion give you trouble. Headaches too can be more common but when you talk to your doctor there is nothing specific they can can find and any blood tests can come back as normal. If you also start to feel hot occasionally then that may trigger a thought about perimenopause,but again that can happen when you are stressed so you don’t automatically think it will be your hormones. 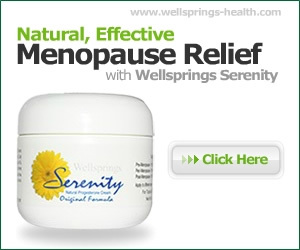 One clear change that indicates menopause is a change in your menstrual cycle. The periods themselves may not be so regular, or can be heavier and last longer than previously. Or they can be lighter, less frequent and often you may miss a month, or even more before another bleed. Unfortunately this is not a constant process, hormones fluctuate all the time and you are on a bit of a rollercoaster ride. What you thought was your ‘new normal’ pattern can change overnight, and several times over in this part of the phase. If your periods have stopped altogether for a prolonged period then that is time to think about the next phase. Menopause officially is defined as when you have had no periods for one or two years – there is no real agreement on this. But many women I hear from have had no cycle for a year and then it can start up again and women using bioidentical hormones to help with menopause symptoms can often find they are having a ‘bleed’ that is not an actual period at all. Particularly women who have had symptoms of oestrogen dominance will often find that rebalancing with progesterone can trigger the shedding of old, retained, endometrial lining. It is healthy to do this, but may not be an actual period or the restarting of their cycle. Unfortunately your ride on the rollercoaster is not yet over, as hormones continue to surge and fall during this time. The drop is now more pronounced, so symptoms can become more severe and this is where rebalancing hormones can be really helpful. The normal symptoms of poor sleep, hot flushes, night sweats, anxiety and depression do respond to additional bioidentical hormones or HRT. However due to the greater health risk associated with synthetic hormone many women do now seek more natural alternatives. Doctors too are more reluctant to prescribe long-term HRT and have turned to antidepressants as a drug help some of those menopausal symptoms. Whether you need to supplement with progesterone alone to help with oestrogen dominance or a combined cream that also has some oestrogen for conditions such as vaginal dryness will depend on your symptoms and their severity. There are many ways to help your symptoms from diet and lifestyle changes to a diet that supports your hormonal needs together with herbs and other supplements. But the good news is that for the majority of women symptoms do ease as they get towards the end of menopause and that one to two years with no periods. You would think that ‘now it’s all over’ with a sigh of relief, and for many this is certainly true and a whole new lease of life can begin. Unfortunately I am hearing more and more from older women who still have menopausal symptoms at this time. A recent study has shown that a much higher proportion of ‘older’ women (average age 59 in this study) than was expected still suffer from hot flushes and night sweats, well after menopause is assumed to be over. Post menopause there are still health risks to be addressed, particularly heart disease, breast cancer and of course osteoporosis and all these conditions are hormone related. So vigilance is the watchword here: be aware of the health risks and take positive action to stay active and taking the very best care of yourself in terms of your diet, how much exercise you have and most importantly how positive you are about this new phase your your life.